Heidi is a graduate of the Environmental Horticulture program at Lake Washington Technical College and a Certified Professional Horticulturist (CPH). 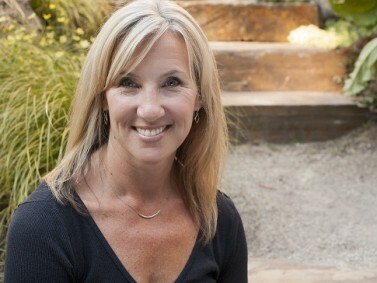 Heidi is a member of the Association of Professional Landscape Designers and The Washington State Nursery and Landscape Association. Inspired by her British Mother (also a graduate of the Horticulture Program at LWTC) and Grandmother who are both avid gardeners, it was only natural that Heidi would eventually follow in their footsteps. Heidi remembers her mother giving her a small space as her own garden when she was a child. This spark was re-lit when she left the corporate world after 11 years and would later help her to realize her passion for plants and gardening. Her combined love of working with people and gardening soon turned into a passion for creating gardens for others. On December 6, 2000 my life changed dramatically. I had been employed by a large retail clothing company (think no hassle returns and customer service) for the past 11 years. My career, that started as a stock person during a half-yearly sale and had evolved into an Internet and catalog buyer with the company I thought I would work for until I could no longer walk in the several dozens of similar (but slightly different) pairs of black shoes I owned, had come to an end. “We are sorry, but yours is one of the positions we need to consolidate”. I had been sitting at my computer checking my email, sipping my piping hot (first of two or three) Starbucks double-tall-non-fat latte one minute, and was standing out on 6th Avenue with my bags the next. I was devastated. I had a car payment, a mortgage, and lot of really nice designer clothes and shoes. I also had two young children, and I was exhausted. The next few days were surreal. I would experience moments of joy from my new-found freedom, mixed with mini-breakdowns and uncontrollable bouts of tears. But as I said, this only lasted a few days. The reality was my children had spent more time at daycare than with me since they were born. And I needed a break- from the traveling, the 12 hour days, and the uncomfortable-yet-fashionable shoes. A classic “blessing in disguise”. Once my bruised ego had healed, and I deposited the decent severance check into my bank account, my life started to settle into a new routine. I was one of those stay-at-home moms I never imagined myself being. I cooked dinner. I took my kids to the park. I volunteered in their schools. I took up yoga. I slept in until 6:00am! Life was good. It wasn’t long before I found myself staring at my small suburban yard, consisting only of an 8’x8′ starter deck, grass, and a chain-link dog kennel, wondering what to do with it. With starts that my mum (yes, British, and an avid gardener since I can remember) would give me from her beautiful English garden, and an eye-catching perennial that I would pick up on my way into the grocery store, I began to transform my eyesore of a yard into my own little oasis. I became obsessed! I would go outside in my pjs with a cup of coffee early in the morning only to find myself on my hands and knees hours later pulling weeds, tearing out more lawn, and planting one of the many new plants I had acquired. I soon had more varieties of plants than I had shoes. My new obsession eventually had me helping friends and family create their gardens. I still remember vividly the day the light bulb in my head when on, or as Oprah would call it, I had my a’ha moment. This is what I was meant to do. There was no doubt. I went back to school and within a year had earned my degree in Environmental Horticulture and became a Certified Professional Horticulturist . But that was only the tip of the iceberg. I went to work for a small design/build company and learned much of what I didn’t in school. A couple of years later I made the transition to working full time for myself as a Landscape Designer. I feel extremely fortunate to have been able to continually grow my company, Sublime Garden Design, despite challenging economic times and to meet and work with clients that more often than not become good friends. “I’m sitting on my front porch in the filtered shade of a leafed-out dogwood, admiring my incredible pots and hydrangeas (that need dead-heading!). I’m thinking about moving to my secret side yard and sitting in the cool amongst my liriope and roses and wanted you to know how much I appreciate your care and attention for my yard projects”.